Veteran Nollywood actor, Richard Mofe Damijo, has disappointed some of his fans as the year ends in few hours. The actor is set to begin a new transition in 2016 as he is set to take off his grey beards which he has used in attracting more fans to himself within a short pace of joining social media. 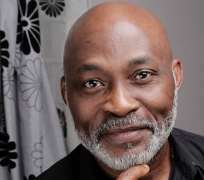 RMD as he is fondly called made the disclosure that he will soon be taking off his beards as it has been a jolly ride to have kept it for a while. In his words, “So hard to say goodbye, today beard gang. Thank you guys it's been a jolly fun ride on this platform, enjoy the CROSSOVER."